Katherine Applegate offers up soulful and endearing characters, who will attach themselves to your heart, and serve as a portal to conversations about animal rights and empathy. 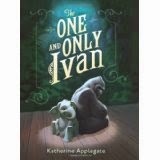 Applegate will have you teary eyed, right before she brings you to laughing or cheering out loud for Ivan and his friends! 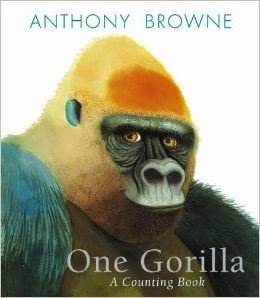 This is a great read aloud, I shared it with students in grades 3-5 and received a double thumbs up from ALL. 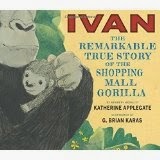 Ivan - The Remarkable True Story of the Shopping Mall Gorilla could serve as a read aloud for grades K-8. Readers and listeners who have previously read The One and Only Ivan, will want to compare these with the lens of a writer. My favorite kindergarten read aloud this year! The illustrations in this number concept book are masterpieces.